A print in Ed Bolster’s exhibit “Extended Gestures” hangs in the library of the Durango Arts Center on Wednesday. 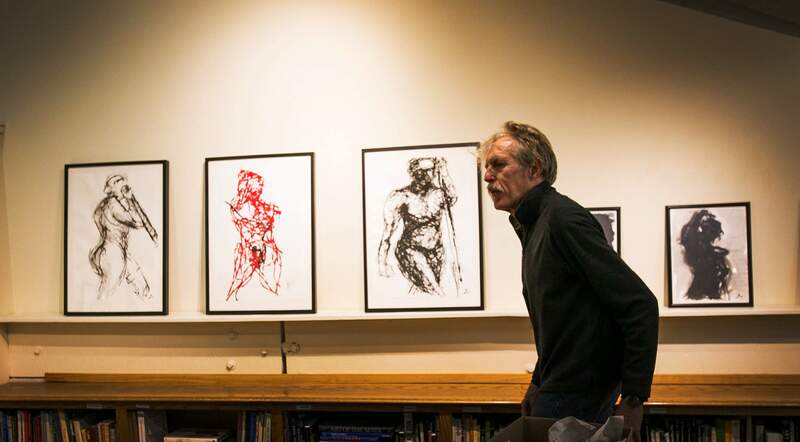 Ed Bolster walks past prints in his “Extended Gestures” show that were being hung in the library of the Durango Arts Center on Wednesday. “Energy and motion are the bottom line,” says Durango artist Ed Bolster. His new show, “Extended Gestures,” which will open tonight (Jan. 6) in the Durango Arts Center library, offered him the chance to go back to basics with his work. On Wednesday afternoon, the library space was abuzz with activity as Bolster and his helpers were hanging the exhibit. 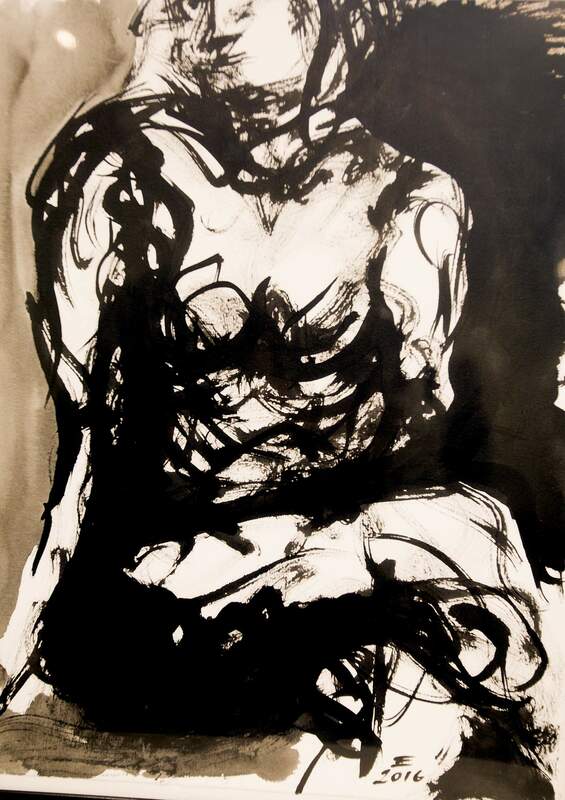 The works that make up “Extended Gestures” are a mix of ink and paint drawings on cotton paper of models in various poses. Bolster’s use of lines to make figures gives them the appearance of motion, without a lot of distracting detail. The pieces in the exhibit are pulled from the past three years of Bolster’s drawings. Along with being an artist, Bolster has also been teaching students how to draw with models. Getting down to the nitty gritty of a subject is something that takes work and, Bolster says, it’s when you let yourself truly immerse yourself into what you’re doing – reaching “the zone” – that’s when you get it. And, Bolster says, it’s a pretty enjoyable thing to do. What: “Extended Gestures” by Ed Bolster. When: Opening reception 5-7 p.m. today (Jan. 6). Exhibit will run today (Jan. 6)-Feb. 25. What: Gesture Based Figure Drawing with Ed Bolster. When: 10 a.m.-4 p.m. Jan. 14. Where: Durango ARts Center, 802 East Seconds Ave.
How much: $75 DAC members/$95 non-members. $15 model fee will be collected the morning of the workshop. More information: Spend the day drawing the human figure with live models. 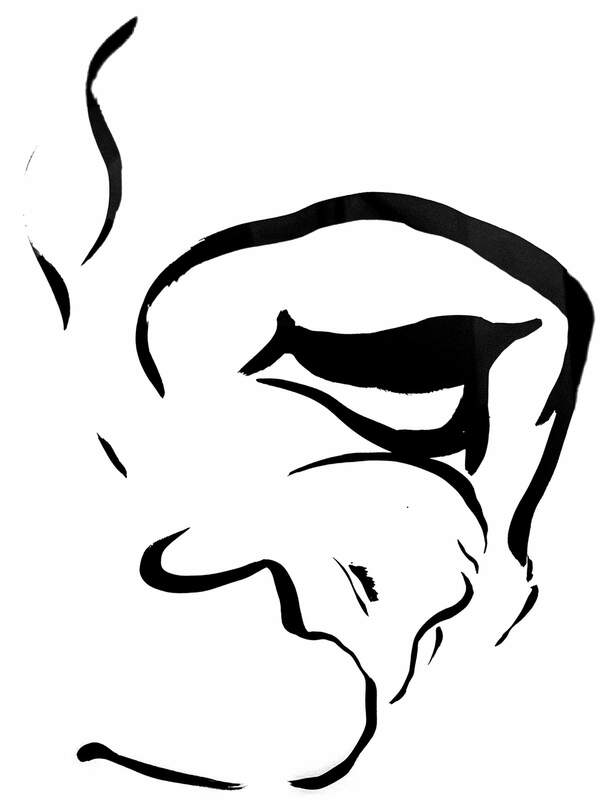 The emphasis will be on gesture and mark-making. This workshop is in conjunction with Ed Bolster’s exhibit of figure drawings in the library at the Durango Arts Center. Experience level: Intermediate.